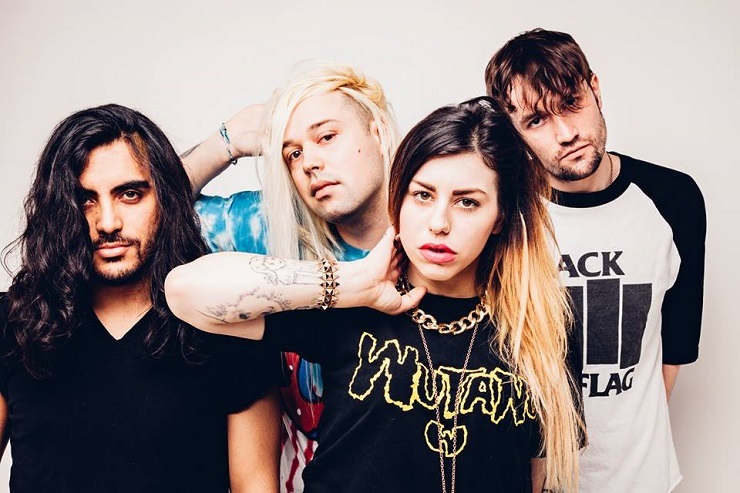 Self-described "evil dance music" crew Die Mannequin share band member Kevvy with west coast funk-rock eccentrics Fake Shark, so it's only natural that the pair of acts would go on tour together at some point. As such, a joint tour starts this September. Die Mannequin recently revealed the batch of dates, which they'll headline, over social media. The trip will further support the mostly Toronto-based project's 2014 full-length, Neon Zero, and begins out in Winnipeg. From there, they'll make their way westward from the Prairies towards Fake Shark's hometown of Vancouver. You'll find a full list of dates down below. As for Fake Shark, the band recently unveiled a video for "Cheap Thrills," the first single from their forthcoming Faux Real full-length. As previously reported, the LP features production from Steve Bays (Mounties, Hot Hot Heat) and a guest appearance from Kool Keith. A due date has yet to be confirmed for the LP.